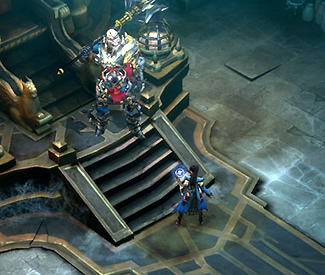 Diablo III game director Jay Wilson recently authored a post on Battle.net discussing the player versus player arena system originally planned for the game. In the post, Wilson tells readers that the system isn’t yet living up to their standards and as such, it is being axed from the main game and will be introduced via patch sometime after the title is released. Wilson and the development team feel it would be unfair to further hold the game back just to work on the PvP aspect. In the meantime, he is confident that gamers will be “having a blast” leveling up characters, learning the classes, finding items and perfecting builds. The added time with the game before the PvP Arena is introduced should better prepare gamers for battle when the time comes. The Arena mode is said to feature multiple maps with themed locations and layouts, PvP specific achievements and a matchmaking system that will help you and your team find games against similarly matched opponents. There will also be a personal progression system that will reward players for each successful battle. Wilson concludes the post by stating that the team is putting the finishing touches on what they feel is an epic campaign and co-op experience for the launch. Unfortunately, we still have no idea when that will be but we are keeping our fingers crossed that it will launch sometime in the second quarter as noted in the company’s fourth quarter earnings call last month.